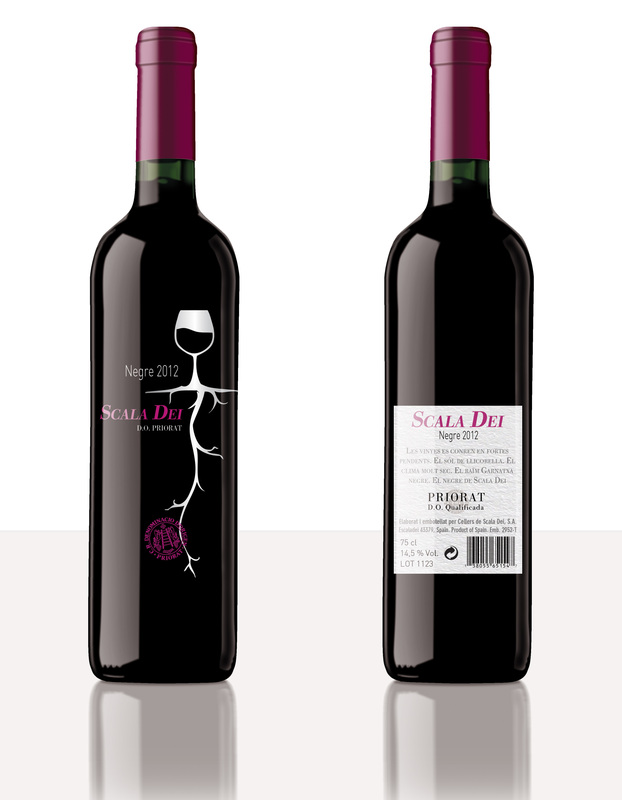 Redesign of the wine label Scala Dei Negre 2012, with designation of origin. The essence of wine lies in the maturity and history of the land where it is grown. Rediseño de la etiqueta de vino Negre 2012 de Scala Dei, con denominación de origen. La esencia del vino recae en la madurez e historia de la tierra donde se cultiva.